HEX BOLT The extensive range of BOLT offered by us is available in different sizes so that it fit in various applications. These are widely appreciated for their durability, sturdy construction, corrosion resistant features, and application specific designs. BOLT is used in many types of machines, as these are available in different finishes to meet the varied industrial requirements. HIGH QUALITY BOLT The extensive range of BOLT offered by us is available in different sizes so that it fit in various applications. These are widely appreciated for their durability, sturdy construction, corrosion resistant features, and application specific designs. BOLT is used in many types of machines, as these are available in different finishes to meet the varied industrial requirements. S.S. BOLT The extensive range of BOLT offered by us is available in different sizes so that it fit in various applications. These are widely appreciated for their durability, sturdy construction, corrosion resistant features, and application specific designs. BOLT is used in many types of machines, as these are available in different finishes to meet the varied industrial requirements. 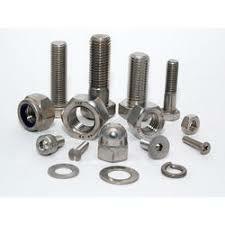 T BOLT The extensive range of BOLT offered by us is available in different sizes so that it fit in various applications. These are widely appreciated for their durability, sturdy construction, corrosion resistant features, and application specific designs. BOLT is used in many types of machines, as these are available in different finishes to meet the varied industrial requirements. CARRIGE BOLT The extensive range of BOLT offered by us is available in different sizes so that it fit in various applications. These are widely appreciated for their durability, sturdy construction, corrosion resistant features, and application specific designs. BOLT is used in many types of machines, as these are available in different finishes to meet the varied industrial requirements. COLLER BOLT The extensive range of BOLT offered by us is available in different sizes so that it fit in various applications. These are widely appreciated for their durability, sturdy construction, corrosion resistant features, and application specific designs. BOLT is used in many types of machines, as these are available in different finishes to meet the varied industrial requirements.